Situated on the Miami River Canal, Miami Springs is a small Floridian city with big benefits for families and businesses. If you are getting ready to make Miami Springs, home, Orange Movers can help. Our competitively priced moving packages for a local move are structured to meet the moving demands of homes and business of all shapes and sizes. Call Orange Movers today and find the help you want to get settled in Miami Springs, at a price that you can easily afford. 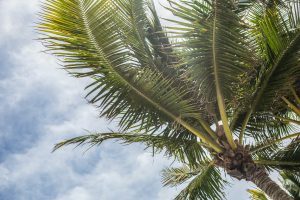 Are you moving to Miami Springs, Florida? Anxious to start the moving process, but you are just not sure what to do? Do you need the best and most reliable local movers Miami has to offer? Well, you are in luck! 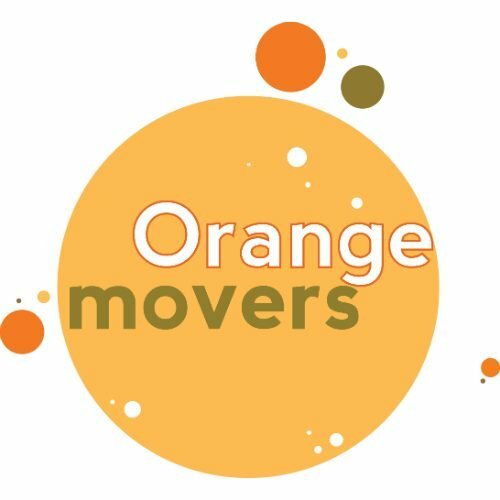 Orange Movers Miami are here for you! From our extensive range of services to our professional workers and a deep knowledge of the area, you will be in good hands! Today, you have an exclusive opportunity to find out why we are the best Miami Springs Movers there are. You can also find out more about this bustling Florida city, and what to expect once you move! Packing services – one of the most important things all Miami Springs movers need to know how to do! Transportation – an obvious trait needed for a professional move! 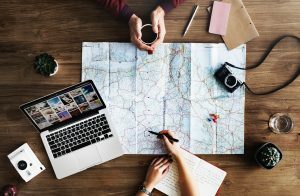 Logistics – no one can have a great move without doing logistics! Storage options – for those who might need more than just to move their things. No good mover can do quality work without these services. They are an essential part of their daily job. A moving company that fails to do basic tasks properly just adds more worry to your already overbooked schedule. And you do not want that when you are already running around doing quite a lot of work yourself! Luckily, Orange Movers are the company that offers these services – as well as many more! As we mentioned before, one of the most important things a professional moving company needs to do is to pack things. It is simple – if you don’t pack items and furniture properly, there is much that can go awry. Fragile items get broken during the transport. If you’re not careful, you can even damage items during the packing process itself. But that’s not the end! There are many injuries that can happen during packing as well – simply put, not everyone knows the right way to lift a heavy object, or how to carry heavy boxes. Deciding what to bring to your new home can be a task of its own. Our movers have years of experience in packing homes. We have the proper packing supplies, as well as equipment necessary for loading and unloading trucks. Our services also include unpacking your items after the move. Just talk to our representatives and inquire about all the services prior to the move! Another important thing is the transportation of your furniture to their new home. Orange Movers Miami offer secure trucks that are perfect for your goods. When moving with us, not only will your items arrive on time – they will also be secure and in one piece. But that’s not all there is to know when it comes to transporting your furniture. Because we have worked for years in the area, we know the best ways to travel, and which roads to take to get to your house in time. If time is money – then we will not only save you a lot of time – but a lot of money as well! Doing the logistics is an important step in the moving process. Another thing all good, professional and reliable Miami Springs Movers need have are great logistics skills. And you cannot have those without great communication. The needs of our clients are of the utmost importance to us – that’s why we communicate about the goals and the expectations of each client clearly. This helps when making a logistics plan. Both the movers and the customer need to know how the move will play out – this gives everyone more control over the move, and a better understanding of it as well. However, moving your items from your old to your new house is not the only service we offer. Sometimes, you will need them in a storage facility first. This can happen due to many factors – your new house may not be ready yet, or it is too far of a trip to do it in one day. This is why we offer many storage options as well. Our storage facilities are secure and well kept – and will be ready for loading and unloading your items. You can rest knowing your furniture is in safe hands, and that you will have it as soon as possible. Now, your move is done and you are ready to dive deep into Miami Springs. But, let’s assume you are relocating to Florida from another state. You have no idea what to expect, and what’s waiting for you in your new city. So, here’s what you need to know. Miami Springs is a city in Miami-Dade County in Florida. It was founded in the 1920s and is, along with some other cities in Miami-Dade County like Coral Gables and Opa-locka, one of the first planned communities in the Sunshine State. Just like other cities of the same type, Miami Springs had a theme. It was to reflect a particular architecture style and ambiance called Pueblo Revival. You can find wonderful climate and culture here. The city spans an area of around three square miles. With the population of approximately 14,500, it has the density of around 5,000 people on a square mile. Keep in mind that Miami Springs is a part of Miami metro area, though, which has a population of around 5.5 million people. Simply put – don’t be scared, you won’t be alone. When it comes to the schools, you will be satisfied. The city is a part of the Miami-Dade County Public Schools System. There are four public schools to pick from: Miami Springs Elementary School, Miami Springs Senior High School, Miami Springs Middle School and Springview Elementary School. There are, however, two charter schools as well: Glenn Curtiss Elementary AIE Charter School (Academy for International Education) and ISAAC Academy (Integrated Science and Asian Culture). Both of these provide education from Kindergarten through eighth grade. From spacious houses to studio apartments, Orange Movers will get your personal belongings from one home to the next. We know that each home is different, and treat each move as unique as the family who needs it. By looking closely at what your needs are, we will find a local moving package that helps to get your possessions packed and in their new place with a minimal effort, both for you and your budget. A commercial relocation has complications that a typical mover won’t foresee. Orange Movers is a far cry from typical, and have vast experience in getting a business up and running someplace new. Small office locations, retail stores, and manufacturing operations can all be uprooted in spot and set down in the next with hardly a disruption in your business. 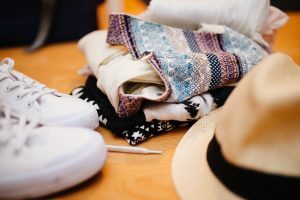 Not every one of your items to be moved will fit neatly inside of a box, and in some cases they might even not fit neatly through the front door. If you’re trying to figure out how to move a large or heavy item, our experts will help. Orange Movers has never met a piano, pool table or work of art that it couldn’t relocate safely and securely. We like to say that our most precious cargo is our client. Orange Movers is responsible not only for moving your possessions, but making sure that you are comfortable during the process. From the first meeting you will find professional movers with the knowledge of how to plan a move, the skills to get it done, and an attitude that makes it all stress free. Even our prices are comfortable, leaving you with nothing to worry about except for buying new curtains. At Orange Movers we provide a full service move for Miami Springs’ residents who have no time on their hands. This includes the packing and moving of all of your possessions, and then unpacking at your new address. Beds are put back together, and the chairs placed around your table, allowing you to fully enjoy your first night in your new home. With our affordable rates for a full service move, there is no reason why you should have to lift a finger. At Orange Movers you are going to find total transparency in our pricing plans. There are no hidden costs to worry about and no unexplained fees buried in the fine print. With our competitive rates, there’s no budget breaking move to worry about at all. We are upfront about the cost of your move from the moment we meet, so that there is no confusion in the cost later on. Call us now about your move in Miami Springs and get started with a clear quote now. With over half of our customers being referrals and repeats, you can tell that Orange Movers is company that your friends and neighbors trust. We are proud that clients are raving about our service, and strive with each move to exceed our reputation. Our entire crew will treat you like family, giving your belongings the same care they would to their own. When you’re putting your home into the hands of someone else, make sure that those are hands you can trust. Our local moving package in Miami Springs can come with a few happy surprises, like free packing boxes to start you off, and a month of storage time at no cost. These small extras will go a very long way towards making your move an easy one. Ask our reps about local moving in Miami Springs and see how much more you are getting for your money.